Cummins has released details on the V8 turbo diesel engine they've developed for light- and medium-duty applications. The engine platform is the one that will be used in the Nissan Titan. The new 5.0-liter V8 turbo diesel was designed to fit any rear-wheel or four-wheel drive truck chassis engineered to accommodate a V8 or V10 power plant. Cummins is making the engine available to truck builders globally, with applications to include pickup trucks, buses, motor homes, medium-duty haulers, and the like. Versions of the big V8 diesel will range from 200 horsepower to 275 hp with torque up to 560 lb-ft. 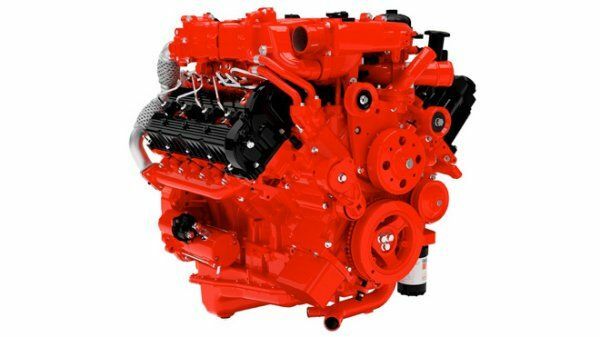 The engine's core is designated the ISV5.0 and features a graphite iron block, aluminum alloy heads, composite valve covers and dual overhead cams (DOHC) to reduce weight and offer smoother operation. A versatile geometry turbocharger, high-low fuel filter, and exhaust treatments (including exhaust gas recirculation, EGR) and particulate filter are also part of the engine's design. Cummins expects to see 20 to 40 percent higher fuel economy in this diesel versus a comparable gasoline engine, with actual MPG depending on application. This particular engine design is what will be used in the upcoming Nissan Titan Diesel, though in an interview with Nissan, we learned that the specifications given for the ISV5.0 are not the specs they will be offering for the Titan truck, which has been announced with higher horsepower than Cummins listed in their press release on the engine. Nissan declined the opportunity to specify their planned changes for the engine in their truck, stating that it would be given at a later time. You can find out more about the Nissan Titan Diesel from our exclusive interview with Nissan's Brent Hagan at this link. Production of the new Cummins engine will commence towards the end of 2014 for 2015 model year applications, the company says. No automakers outside of Nissan have announced plans to use the engine, but the company does expect to make announcements regarding partnerships for the engine in the coming months.